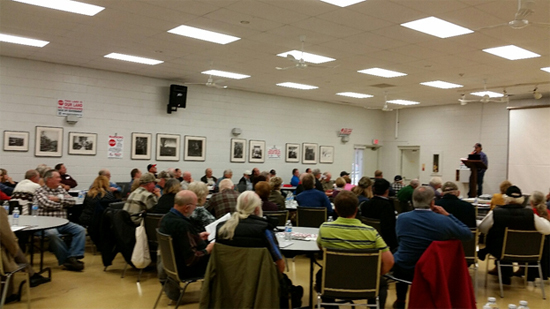 The Ontario Landowners Association (OLA) hosted another very successful annual general meeting in Tyrone, Ontario this past Saturday, October 24th. The meeting is divided into a Directors’ meeting in the morning followed by a public meeting, with speakers and dinner in the afternoon. The new executive, elected at the morning session, are as follows: Tom Black, President, Jeff Bogaerts, Vice-President, Governors: Duane McKinley, Donna Burns, Karl Von Bloedau, Mark Tijssen, and Bob Weirmeir. Liz Marshall and Karen Bainbridge continue in their roles as secretary and treasurer, respectfully. A new role was established, that of Administrative Assistant to the Executive. 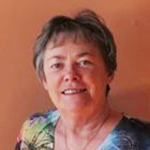 Shirley Dolan will fill this role. Tom extended his thanks to past Governors, Albert Kealy, Bill O’Brien, and Shirley Dolan. Liz Marshal spoke following the dinner about the Green Energy Act. She has written a paper on this topic which is available from our website. http://store.ontariolandowners.ca/green-energy/. This year, the OLA’s award for Best Landowner went to Bob and Karen Weirmeir from the Saugeen Regional Landowners Association. The Best Landowner Group award went to the North Renfrew United Landowners. Both these groups are recent additions to the OLA and have been very active in promoting property rights in their counties, and beyond.